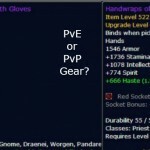 PvE Gear Vs. PvP Gear, Can You Use One for the Other? Can I (or should I) use PvP gear in PvE? 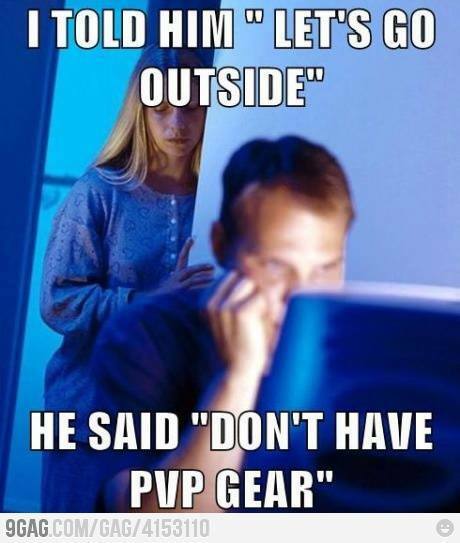 Can I (or should I) use PvE gear in PvP? Reslience is a stat that reduces damage done to you by other players. 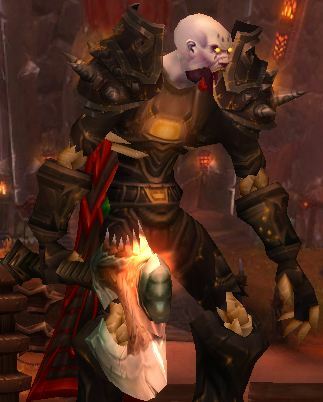 It used to be on high level PvP gear, but it was removed in patch 5.3. It still exists on lower level gear. 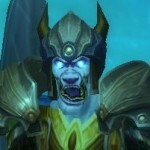 In patch 5.4 the resilience number is 72%, regardless of the gear that you’re wearing. So that shot you do to another player does not hit for 100k, it hits for about 28k. It’s completely irrelevant in PvE. PvP Power only appear on high level PvP gear and adds to the damage you do to players, and only players, much like Attack Power or Spell Power. It’s also completely irrelevant in PvE. 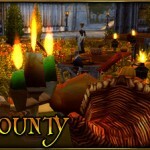 Pilgrim’s Bounty starts today, so we’ve got a new guide to getting all the Pilgrim’s Bounty achievements. This event Is also a really good way to boost you cooking up to 300 in no time. So, you’ll need 8 Turkey Shooters, a Pilgrim’s Hat, and any one of the chest pieces (Attire, Dress, or Robe.) The Boots are optional. 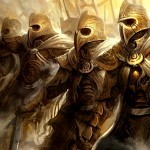 As you know we have a bunch of class guides on this site, covering most specs. All of those guides are still there and any old links you might have still work. There are a few cases where the old page still exists but will bounce you to a page on this blog (such as the DK leveling guide.) That’s handled by a redirect and it seems to be working well. If an old guide needs to be re-written (and many do) then the new guide will appear on this part of the site and the old guide will either have a link to the new one or redirect appropriately. In either case, it should be easy to find. Say something if it isn’t. Here’s a direct link to each of those index pages. You’ll be able to access the guides you want from there. You can see the same links on the left navbar. Suggestions as to what any guide needs, or what you want to see, are always appreciated.